Drivers and irons utilize different angles to achieve different results, which means you should set up differently to maximize each club. 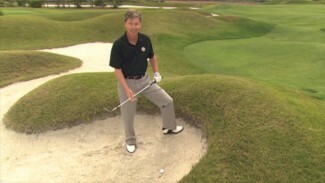 They also sit on the ground in unique ways because of the size of the club head. Whereas the face of an iron settles naturally at its intended degree of loft, due to the weight and size of its head, a driver settles back a bit more. That’s why you have to make a small adjustment to your setup to learn how to hit a driver the way it should be hit. 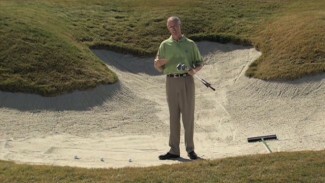 In this lesson, we teach you how to hit a driver properly by adjusting the angle of your shaft. To teach you how to hit a driver with greater consistency, PGA Professional Jamie Fordyce demonstrates the difference between setting up for an iron shot and setting up for a drive. 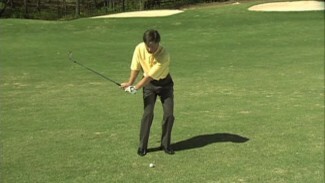 He begins by showing you the proper approach for an iron shot, which utilizes a centered stance and a straight shaft. You’ll learn why it’s important to keep your shaft straight when using an iron, and see what it looks like when you address the ball correctly with the smaller sticks. Once Jamie walks you through proper setup with an iron, he explains why that technique doesn’t translate to the driver. If you’ve been wanting to learn how to hit a driver better, the answer might be in the angle of your shaft. Jamie shows why slightly tilting the shaft back in your stance and keeping your arms out in front of you helps make square contact with the ball, rather than pushing your shots to the right. 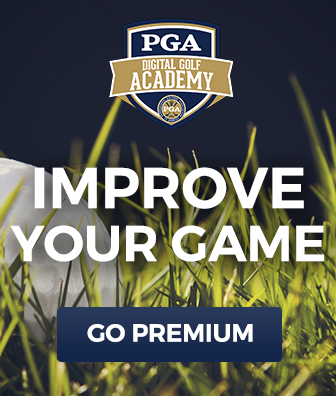 Test out Jamie’s advice the next time you’re at the driving range, then explore more swing tip videos to find out how to hit a driver, discover greater consistency in your tee shots and, ultimately, lower your score!